In warmer times, Horseshoe Falls in Niagara Falls, Ontario, normally has 681,750 gallons of water pouring over the edge every second. Baby, it’s cold outside . 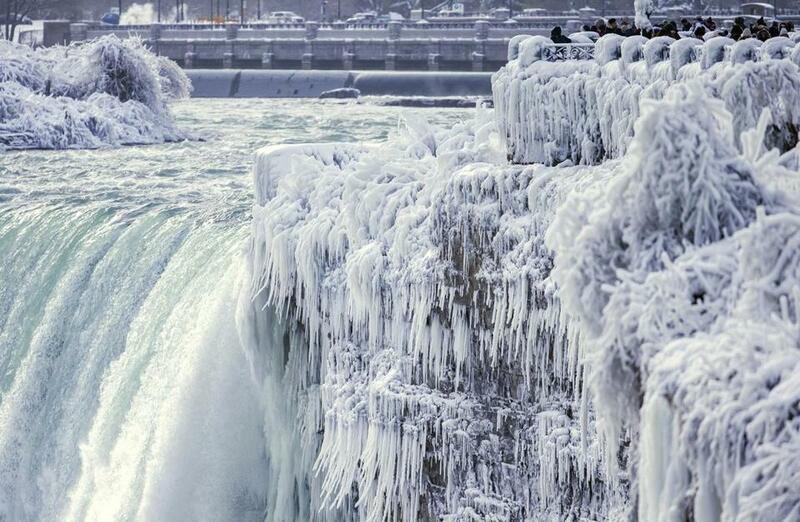 . . especially at Niagara Falls, where the famous waterfalls are looking more like glaciers these days. 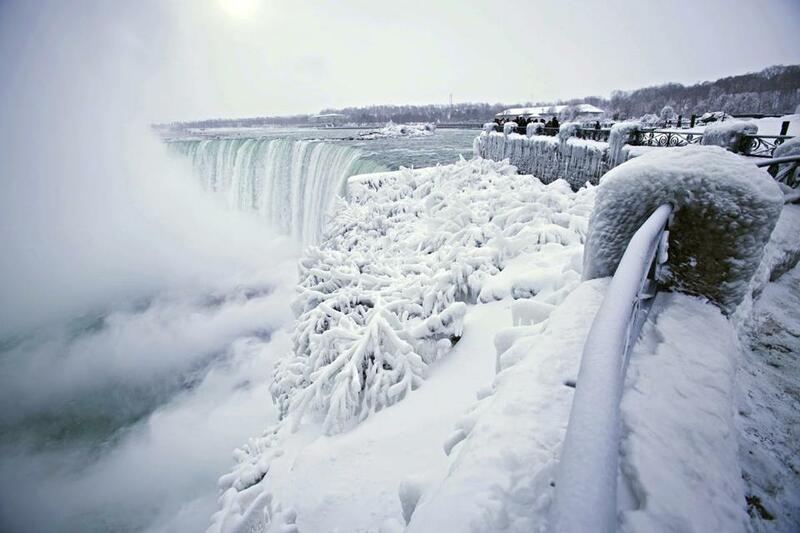 Pictures from the area show the frozen Horseshoe Falls, which normally has 681,750 gallons of water pour over the edge every second, according to Niagara Falls State Park. 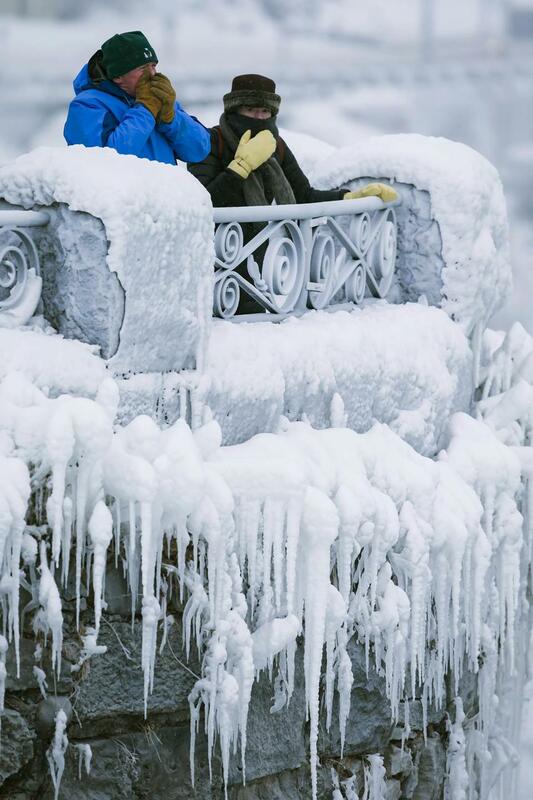 The Canadian government reports that Monday morning, temperatures at Niagara Falls are a frosty 5 degrees above zero, with a wind chill of 11 degrees below zero. 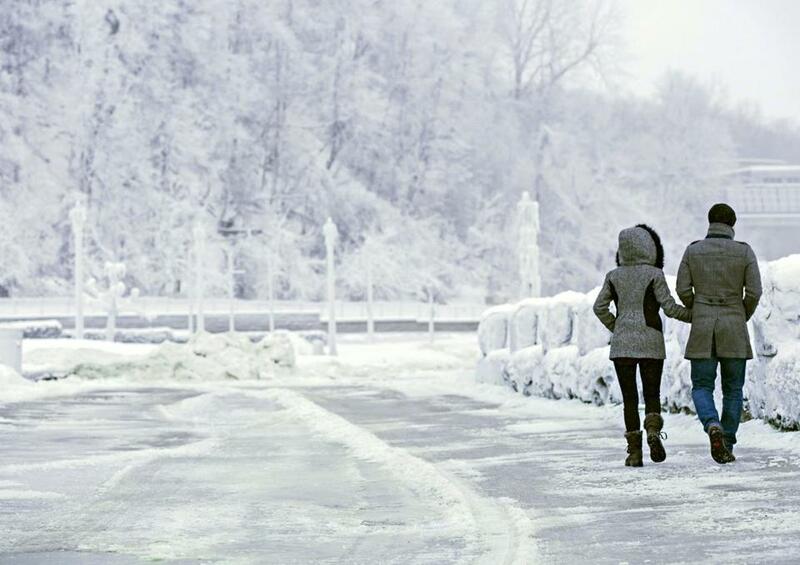 It’s unlikely the falls will thaw anytime soon: freezing conditions are expected to remain through the rest of the week. Visitors took photographs at the brink of the Horseshoe Falls on Friday. A couple walked near the brink of the Horseshoe Falls. Visitors tried to keep warm at the brink of the Horseshoe Falls.